Kevin Lumpkin joined the firm in November 2013 and is a principal of the firm. Prior to joining Sheehey, Kevin served as a law clerk for the Vermont Superior Courts in Bennington, Addison, and Chittenden Counties. 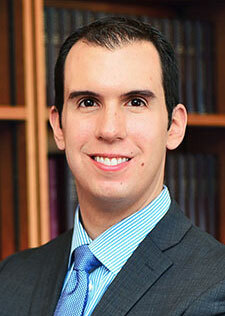 His practice is focused primarily on civil litigation, serving both business and individuals. Kevin practices in both state and federal court, as well as before various State agencies and boards. Kevin has experience with complex class action litigation, medical malpractice defense, consumer fraud litigation, breach of contract actions, defense of personal injury suits, and complex commercial litigation. He handles both trial and appellate level litigation. In 2015, 2016 and 2017 Super Lawyers magazine named Kevin to its list of Rising Stars in New England. Kevin received the Vermont Bar Association’s Distinguished Pro Bono Service Award in 2016 for his work providing indigent litigants with legal representation through a pro bono clinic at the civil division of the Chittenden Superior Court. Successfully defended a small Vermont business in a contract dispute before the trial court and Vermont Supreme Court. Represented Vermont’s largest electric utility in an action for breach of contract before the Vermont Supreme Court. Represents physicians and other health care providers before professional conduct and licensing boards and in connection with civil lawsuits. Represents land owners in connection with boundary disputes, zoning issues, and related matters.